Ever feel like your job is a three-ring circus? What better way to stay calm, cool, and comfortable in spite of the melee than the Timberland PRO Men's Rigmaster 95553 Brown Waterproof Steel Toe Boots? Single-density polyurethane creates solid, shock-absorbing s ... (see full details) (see specifications) #TMBTB095553214. Ever feel like your job is a three-ring circus? What better way to stay calm, cool, and comfortable in spite of the melee than the Timberland PRO Men's Rigmaster 95553 Brown Waterproof Steel Toe Boots? Single-density polyurethane creates solid, shock-absorbing soles in these safety toe boots. Oil-resistance prevents chemical corrosion that tears up your soles, while slip-resistance helps you maintain a steady grip. Goodyear welt cast bond construction holds these tough polyurethane soles in place with flexible, repairable stitching on these work boots. This Rigmaster footwear is manufactured with brown and black full-grain waterproof leather with waterproof membrane, that creates a tough but flexible shell to support your feet. Ever-Guard abrasion-resistant leather on the heel counters and toe bumpers help protect the handsome look of the finish. The fingergrip pull-on feature helps you get ready to walk with ease. Steel shanks support your muscles from deep within, fighting fatigue to reduce strain and pain in these waterproof boots. The conical midsoles are also made for anti-fatigue comfort. Contoured, single-density footbeds are made with an antimicrobial cover for odor control. Airy, breathable mesh lining with antimicrobial treatment fights odor and bacteria. The Timberland PRO PowerFit system ensures that your feet will be supported and comfortable all day long in these brown boots. Timberland PRO adds other features to further your comfort and foot support. This includes the Rigmaster last construction that's made for flexibility, and rugged NATO speed lace guides that keep shoes securely in place. 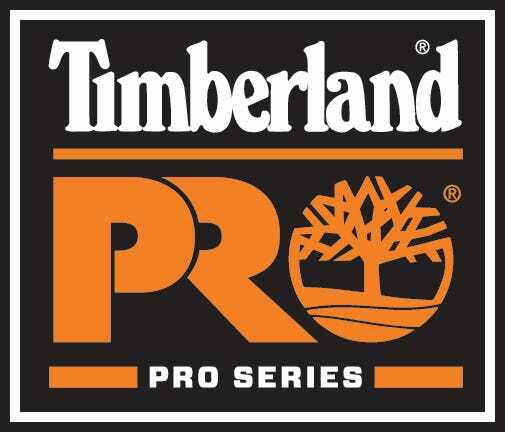 Timberland Pro rubber backstays further ensure durable support. The Ladder Lock outsole radius provides premium stability for better comfort in these steel toe boots. Rigmaster shaped steel toes provide roomy support and safety with ASTM F2413-05-approved steel in these antimicrobial boots. Electrical Hazard protection (which meets ANSI Z41PT99 standards) soaks up shock from open electrical circuits to provide further safety on the job in this 8-Inch footwear. When your job is more like a circus, you need these Timberland PRO Rigmaster 95553 Brown Waterproof Steel Toe Men's Boots. Order your pair from the Working Person's Store today. Very comfortable, light weight steel toes! Buy these boots. You won't regret it. I wear these boots 10 or more hours a day, every day. I'm almost always working on cement or other hard surfaces and never worry about my feet. I've worn them in the rain and snow without getting wet feet, but I generally work in the dry. I've worn these boots outdoors and in wooded areas, as well, and the 8" boot provides nice ankle support. Unfortunately, I haven't been able to find an American Made boot that is this comfortable. Because my employer provides an annual boot allowance, I'm getting ready to purchase my second pair of Ringmasters. I love your store. You're friendly, understanding, just a darn nice place to do business! Thank You! Timberland PRO Boots: Men's Rigmaster 95553 Waterproof Steel Toe Boots is being added to your cart.